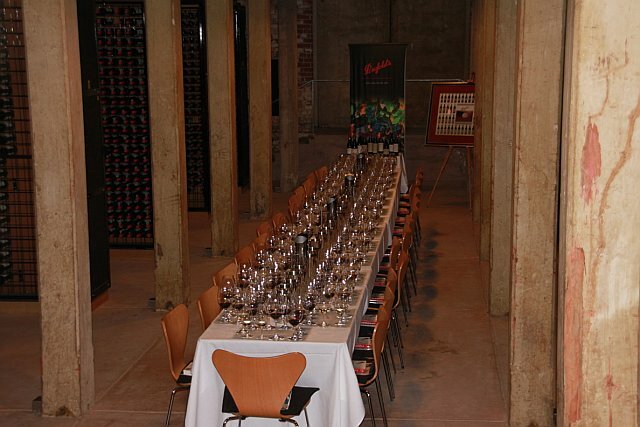 After our Henschke tour, we headed to Penfolds Magill Estate. The table is massive, as we were joined by the West Coast group. 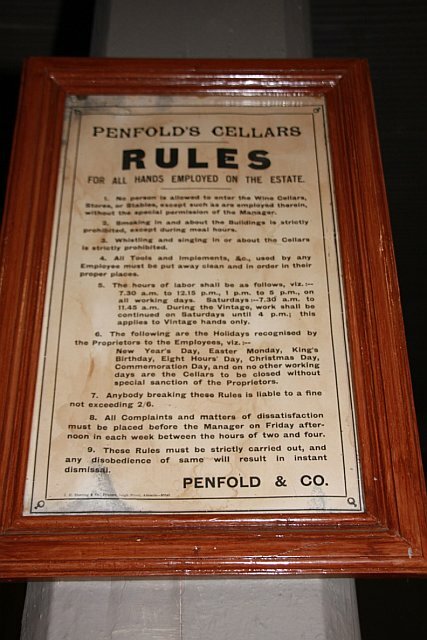 Penfolds was founded by an English doctor, born in 1811 and the youngest of 11 children. In 1844, he and his wife Mary purchased the Magill Estate, "comprising 500 acres of the choicest land". Mary was responsible for the early management and winemaking at the estate. The early wines, made from Grenache, were prescribed as tonic wines for anemic patients. 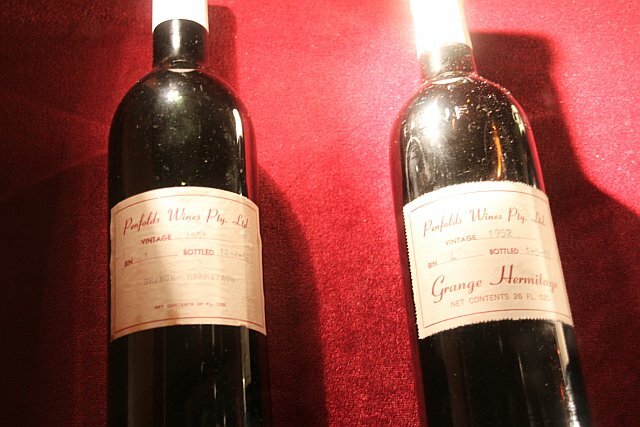 The Penfolds slogan “1844 to evermore” stems from its original purpose as a perscribed tonic. I have no idea what the Penfolds website means by Clubs, but sounds like fun. Peter Gago, Chief Winemaker since 2002, walked us through the tasting. A conversation about closures came up at almost every tasting we attended on the trip. Peter had one of the best answers about corks vs. screwcaps, saying that we have yet to discover the best closure, and that we shouldn't stop with screw tops. 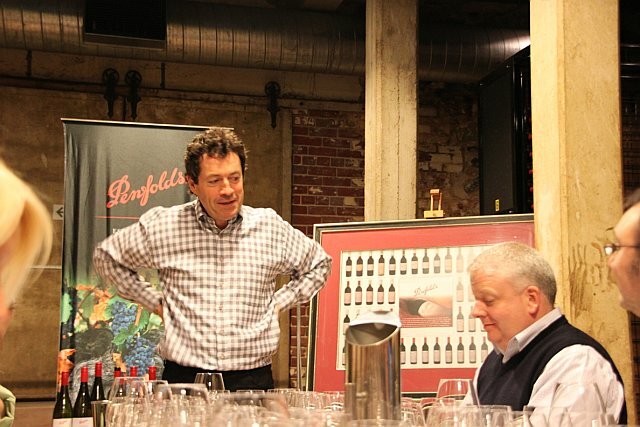 It's worth reading about the "re-corking clinics" on the Penfolds website. Grange was first bottled in the 1950s. Check out the awesome, original labels. After our tasting, we went on a tour of the estate. 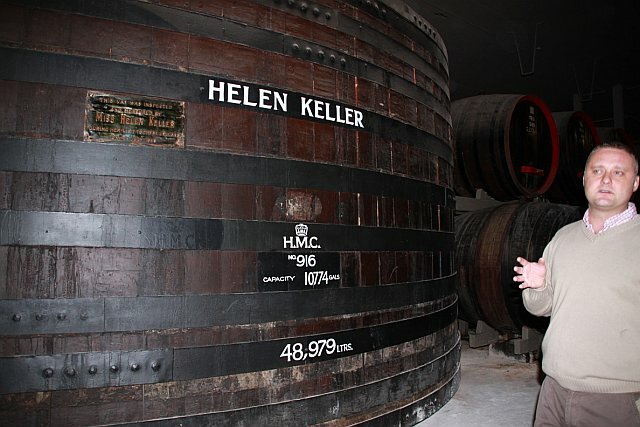 Helen Keller visited the famed estate, and was able to guess, within a few thousand liters, what the barrel in this picture would hold. This poster also caught my eye. Unfortunately, it didn’t have a date stamp. Rule #3 dictates that whistling and singing on the premises is strictly prohibited.